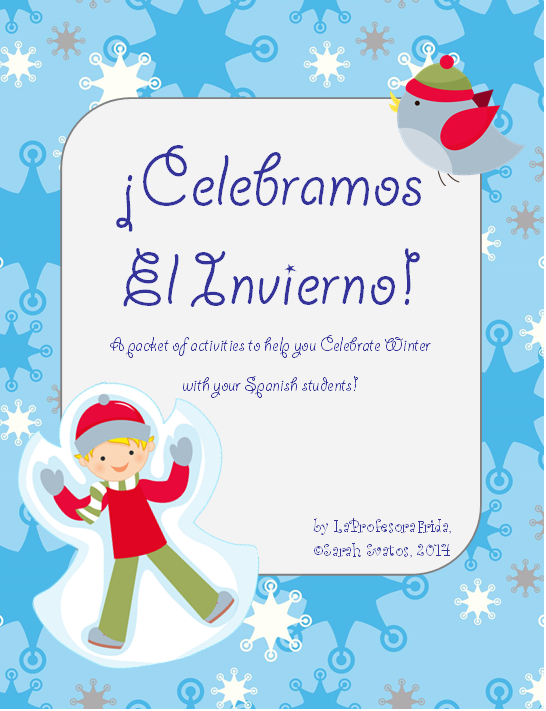 Not your typical Winter Packet Celebramos El Invierno! 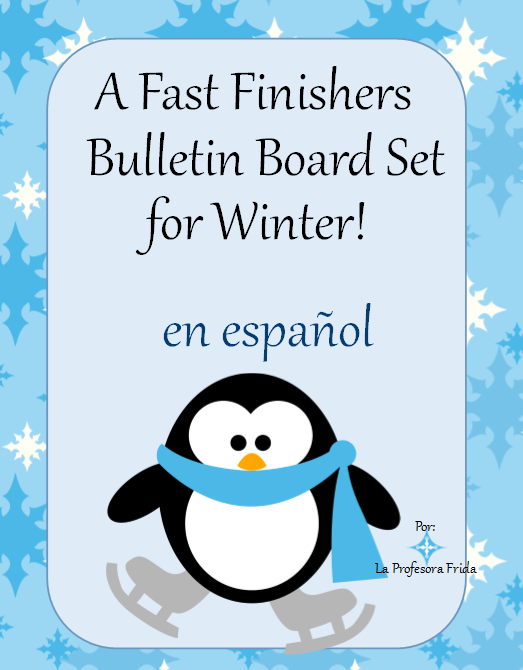 is a compilation of printables for you to use with your students to help them learn new vocabulary, new verbs and new phrases to express themselves about the topic of Winter (not a specific “Christmasy” theme, although some holiday vocabulary is included). 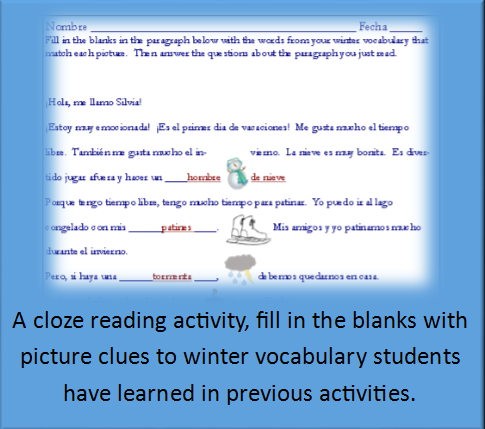 The vocabulary used in the following activities is common vocabulary found in most Spanish textbooks along with supplementary vocabulary to help your students express themselves more fully. Sometimes when we take time away from our already in place curriculum to teach “the fun stuff” (for example, holidays), we can worry that we aren’t providing a rigorous learning experience for our students. This packet of activities should reassure you that the opposite can be true! 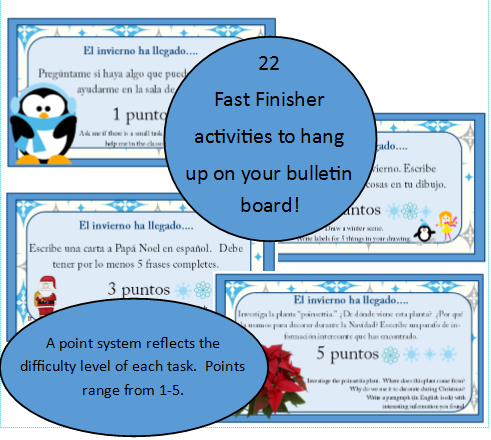 The activities in this packet not only teach (and supplement!) 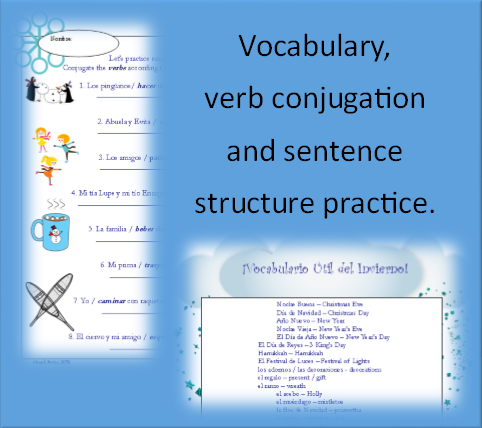 vocabulary, they offer communicative work, sentence structure and reading comprehension practice, verb conjugation work and even poetry and art! Each activity can be used individually, or consider setting up stations. Need to be away from your classroom? I’m sure your substitute would be thankful for this packet of activities to implement in your absence. ¡Vocabulario Útil del Invierno! –Useful vocabulary to talk about winter. ¡Verbos Útiles del Invierno! 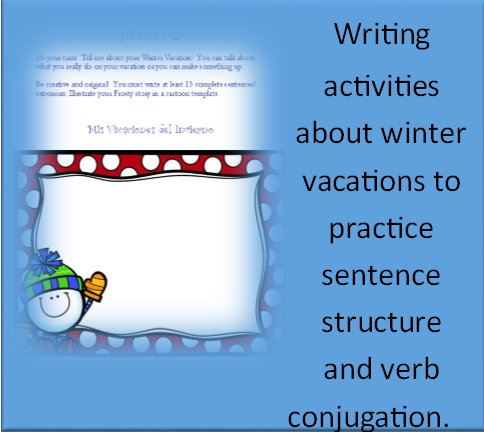 –Useful verbs to talk about cozy, winter days. 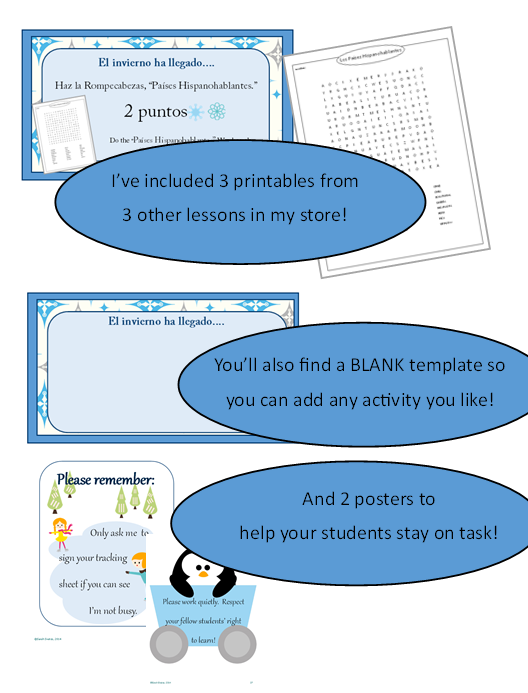 Please swing over to my TeachersPayTeachers store and check out this awesome packet of wintery lessons! If you do purchase it, I would love to hear your thoughts!